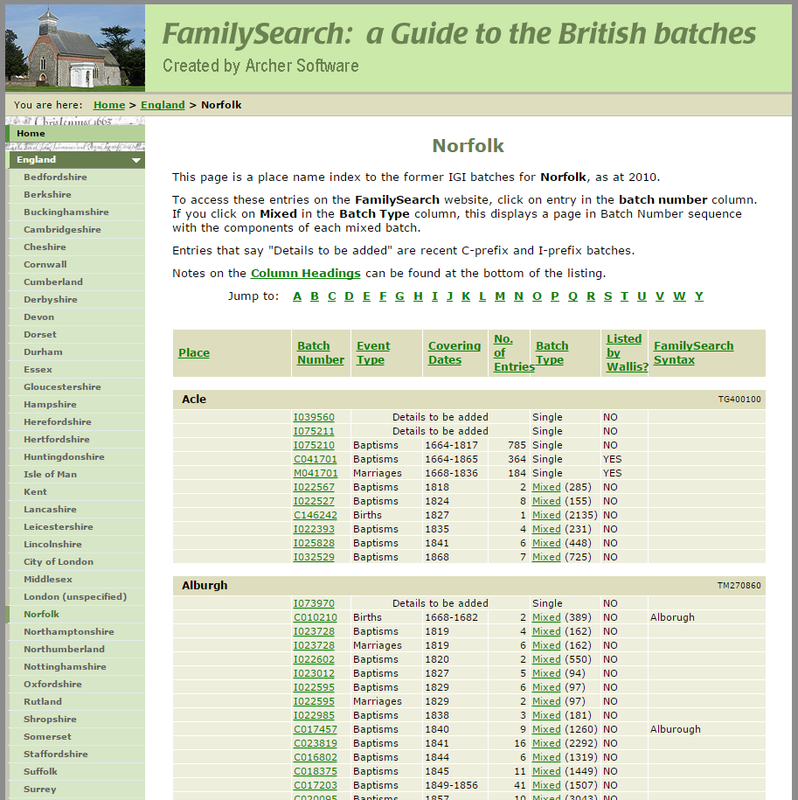 OGI is a search engine for genealogical data sets found online for England and Wales, indexed by place. If you know the place where your ancestor was born, married, died, or buried, OGI helps find sites that contain records for that place - records that may contain details of your ancestor. Also look in the census for the town in which the bride was born, or in the place where the first child was born. Try looking in known places to find additional children born to the family who may not be recorded on a census if they died between census years (1841, 1851, 1861, 1871, 1881, 1891, 1901, 1911 in the UK). Ancestry, FamilySearch and Findmypast all have the UK census available. The Results screen has some important features which will help you find what you need. Here is an example for Longham in Norfolk. Click on the Show dropdown to see more than 10 results on the screen. You can have 10, 25, 50 or 100 in the list. Click on the Page number or use Previous and Next at the bottom-right of the screen to go from page to page. Use the Search field to search through the current results for a website, keyword (“burials” or “marriages”), church or collection name. This is a very fast way of filtering the results for what you need. 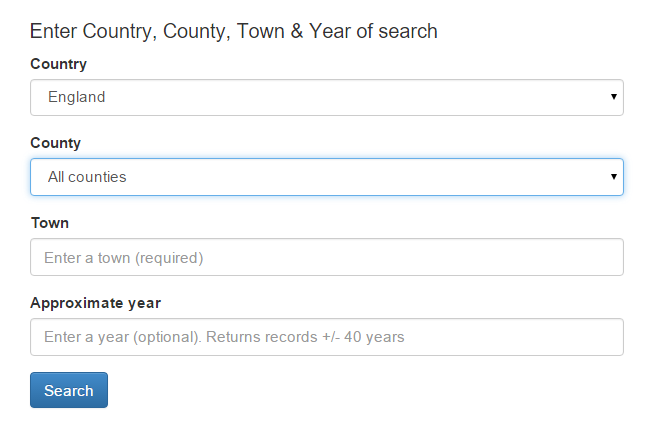 If searching for records from a specific year, click on the From column to sort the list (click it again to change from ascending to descending). Column headings can be used to sort the list by that item. For example, if you are just looking for marriage records, click on the M column and see the marriages at the top of the list (click again if not shown). Note: Some collections are not free with the LDS account (such as Ancestry’s Manchester collection) but are still available at a Family History Center or public library with an institution account. There are often duplicate data sets found on other sites which would be referenced in the OGI results. Click on a blue link to go to the data. A new tab will open in your browser with the resource shown. You can always go back to the list of results by returning to your results tab. The example shown is Google Chrome. By clicking on the OGI tab, you will see the results screen again. If you find a problem with a link such as the page is no longer working or the description does not match the link offered, please use the blue triangle button to the right of each line to report the problem. Complete the form to explain what you were trying to access and what is not working. A message is sent to the OGI Data Administrator who will research the problem and send you a working link if available. The index will also be repaired. To start a new search, click on either the New Search link on the top-right of the results page or click on the main blue heading, "Online Genealogical Index". By clicking on the blue links, you are often faced with either a search screen or an index of another website. The OGI has shown that the place, data type and year range needed is available on that site. You will need to search for either that data set name or that place on the new site. 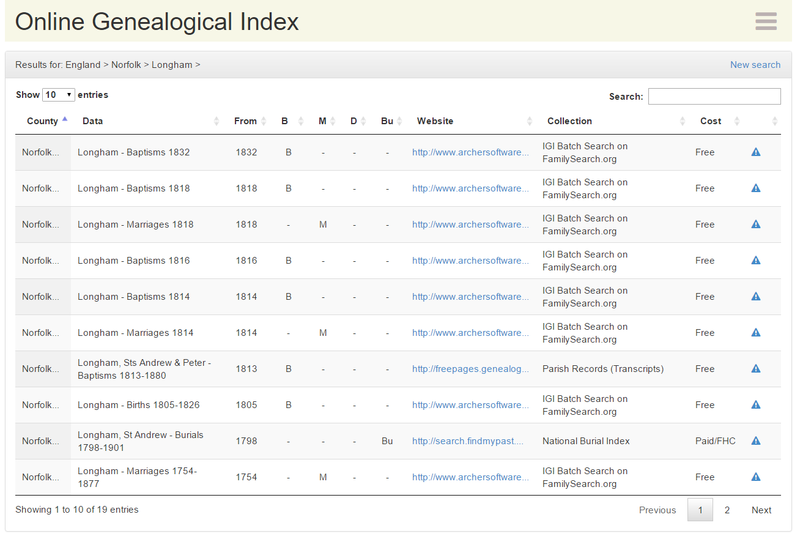 This is an International Genealogical Index batch index. These are all FamilySearch data sets but this index helps you locate the information you need very quickly. Use the Jump To index at the top or scroll down to find the batch you need in the right place and data type. Just click on the Batch number and enter the surname (not required) to search through the FamilySearch IGI batch. 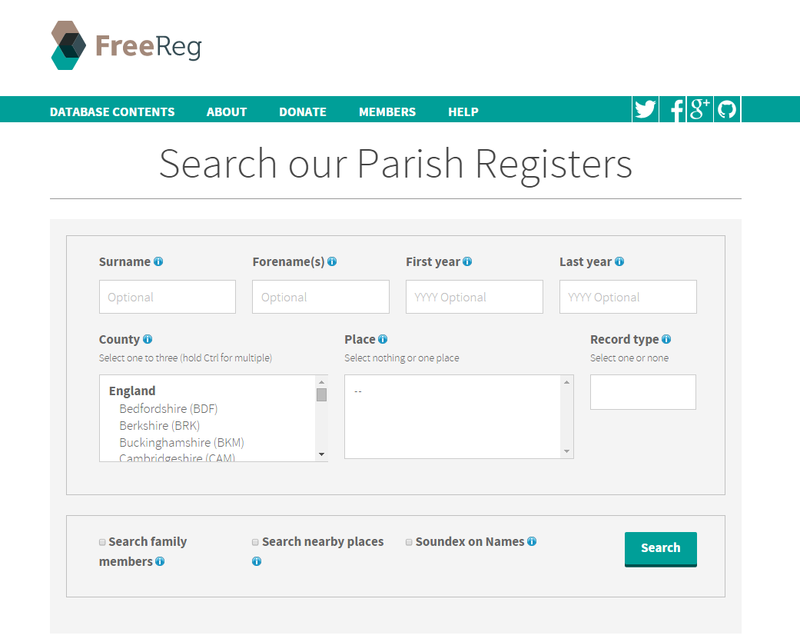 FreeReg is a large collection of Parish Register transcriptions. These are often not included in the International Genealogical Index on FamilySearch and fill in gaps in the data. You end up with the exact place of the event which can then allow you to revisit the results in OGI and search for a specific town and church.